Yes, my family is having friends over this March 17, to celebrate St. Patrick’s Day. And, yes, there will be a mandatory Danny Boy sing-along. And, yes, my son’s cupcakes will have green icing and shamrocks. 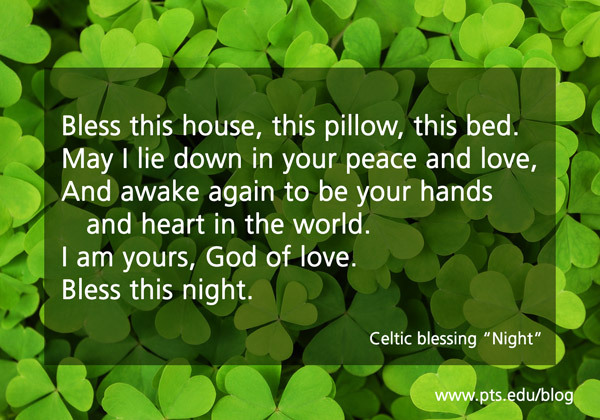 And, yes, we will write Celtic blessings and bless one another. And, yes, I will offer in my best Irish tenor (even though I’m not Irish; Owens is Welsh) renditions of Who Put the Overalls in Mrs. Murphy’s Chowder and The Night Paddy Murphy Died, to the delight, no doubt, of all but my children. 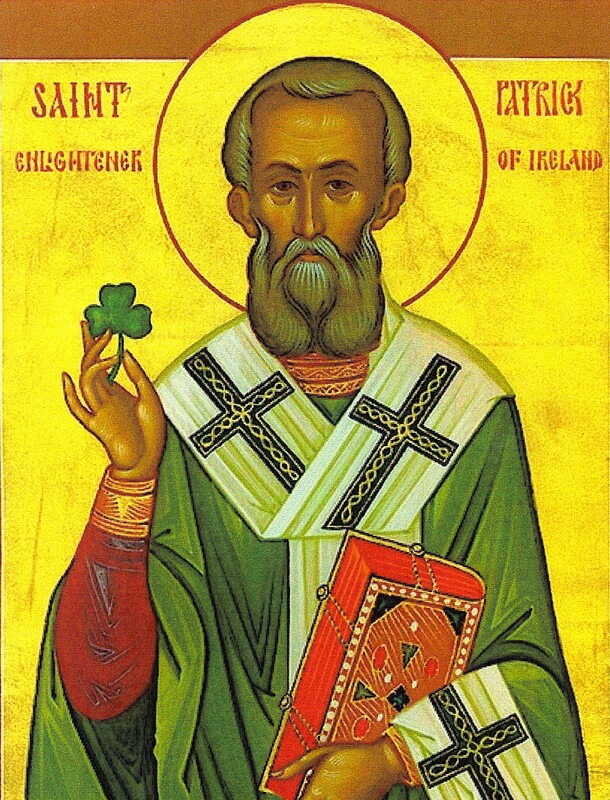 Here’s what we won’t do: sentimentalize the memory of St. Patrick himself. 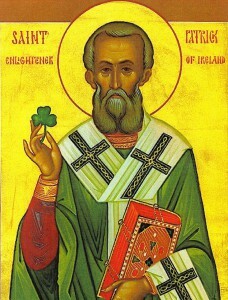 We won’t tell the kids how he used shamrocks to teach about the Trinity or regale our guests with the tail of his driving snakes from Ireland. And not because these stories don’t help us understand the meaning of Patrick. 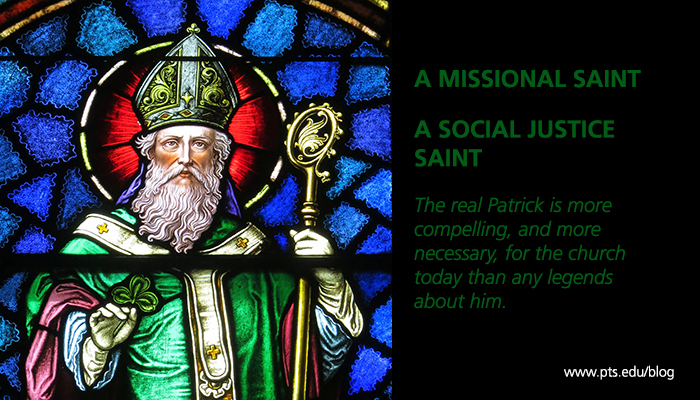 We won’t do these things because what we know about the real Patrick, from his own writings, is more compelling, and more necessary, for the church today than any legends about him. The real Patrick, from his own writings, is more compelling, and more necessary, for the church today than any legends about him. At 16, Patrick was abducted from the coast of Britain and forced into slavery in Ireland. Several years later he escaped and found his way home. But in dreams and visions God called him back to carry the Gospel to the very people who had enslaved him. Patrick tells this story in his confessions. He also tells us how he loved the people of Ireland. He lived among them the rest of his life, as he believed Christ commanded him to do. He walked the island, conversing with the people and challenging pagan practices, all the while showing them the love of Christ. He found himself caught up in the great mission of God to bring healing and hope to the nations. The church today can learn from Patrick. Rather than staying hunkered down in the safety of the familiar, as Patrick might have done when he returned to Britain, the church is called to be a peripatetic church, as Patrick was peripatetic bishop—a saint on foot. He walked and lived and risked his life among the people of Ireland. He was a missional bishop, the perfect saint for a would-be missional church. As Christ was the incarnation of God’s mission to restore a broken world, Patrick shows us a picture of what it means for the church to be the ongoing incarnation of that same mission. One can imagine Patrick being equally horrified today as human trafficking continues. I believe he would also decry all sorts of injustices that cause the displacement of people. He would advocate for refugees seeking asylum, for the return of displaced people to their homelands, for the hospitable treatment of immigrants. For, as he says in his letter, “I live as an alien and a wanderer.” He knows what it’s like to live in a land not his own. Imagine if the church today would learn these lessons from Patrick, if we would let these two commitments shape our lives: an intentional, missional orientation, a participation in the mission of God that gets us among the people of our communities, living, listening, loving, and speaking; and a cleared-eyed commitment to justice for people wandering, for whatever reason, from their homes—people suffering trauma, needing a new start, longing for hope. Patrick’s witness—the real Patrick’s—might be the key for a renewal of the church in service to God’s world 1,600 years after Patrick lived. So maybe at our party this Saturday we should write blessings, not just to bless each other, but to bless our community. Maybe we should walk the neighborhood offering the blessings of God to people we meet, listening to their stories, learning to be with them. And maybe we should write letters, letters to our representatives and letters to the editor, lifting our voices as Patrick did against the social injustices of our day. Maybe this would be a better way to honor Patrick. But we’re still singing Danny Boy. I wasn’t sure what we would do this St. Patrick’s Day since the leprechauns told us they won’t be coming back. Each year for the past several years on March 17, while our kids were in school, the leprechauns would come to our house and devise an elaborate scavenger hunt for the children. Rhymed clues, written in an unrecognizable hand remarkably similar to the Tooth Fairy’s and Santa Claus’s, led the children from room to room until at the end they discovered a pile of cheap St. Patrick’s Day paraphernalia—a shamrock t-shirt, a “Kiss Me I’m Irish” button, a pot of “gold” filled with yellow M&M’s. I delighted in watching the hunt—the excitement, the stampede from one clue to the next, the way children love anything from Dollar General. The Mommy Leprechaun, whose job is was to compose the rhymes and buy the clues felt less thrilled. So after four years of fun, the leprechauns last year left one final note saying they won’t be back. So two weeks ago I began wondering, what will happen this year? That’s when a new book written by Beth Richardson, an acquaintance of mine, landed on my desk: Christ Beside Me, Christ Within Me. I think the leprechauns brought it, knowing I would need help. I’ve been interested in Celtic spirituality for some time. Three years ago I attended a retreat on Celtic spirituality at which Beth was the worship leader. As soon as I heard her read “A Blessing for a Cup of Coffee” I knew we were kindred spirits. Now on my desk sits her book which includes this and other blessings inspired by the Celtic tradition, blessings that can tutor me in what I want most of all: to see and receive this moment—each moment—as holy, saturated with the love and mercy of the Triune God. This moment holding a cup of coffee. This moment walking the dog (she has a blessing for that). This moment holding a newborn. This moment, and this one. Each one a sacrament. Even this moment grading papers? Yes. Beth didn’t write a blessing for that, but I was inspired to write my own. I’m allowing Beth to become a mentor for me, and if for me, why not for my children on St. Patrick’s day? Because I want nothing more for them as well than to experience this Celtic clarity about God’s presence here and now. And this Celtic honesty. These blessings don’t avoid pain. “Some days are very hard,” one begins, and can’t we all—children and adults—learn better how to straightforwardly name what we are going through? “May you know that you are loved, / You are held, / You are not alone,” it continues. And I think of my older son’s inevitable middle-school hard days, and I nod. Yes. Learn this. Bless this house, this pillow, this bed. And awake again to be your hands and heart in the world. I am yours, God of love. But I will have to write my own blessing “For the Yellow M&Ms”, because we are going to have those again, leprechauns or not. The Rev. Dr. L. Roger Owens is associate professor of Christian spirituality and ministry at Pittsburgh Theological Seminary and teaches courses in the MDiv, Doctor of Ministry, and Continuing Education programs. Before coming to PTS he served urban and rural churches for eight years in North Carolina as co-pastor with his wife Ginger. He has written multiple books including The Shape of Participation: A Theology of Church Practices which was called “this decades best work in ecclesiology” by The Christian Century and his latest What We Need Is Here: Practicing the Heart of Christian Spirituality.